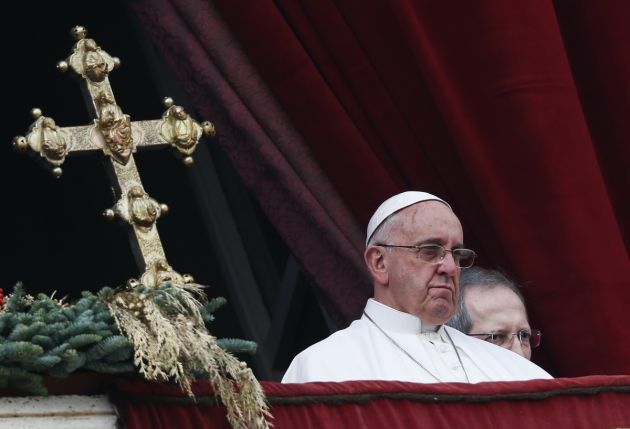 (Photo: REUTERS / Alessandro Bianchi)Pope Francis delivers a "Urbi et Orbi" (to the city and world) message from the balcony overlooking St. Peter's Square at the Vatican December 25, 2014. Jesus, the Son of God, the Saviour of the world, is born for us, born in Bethlehem of a Virgin, fulfilling the ancient prophecies. The Virgin's name is Mary, the wife of Joseph.